Dubai, UAE, November 05, 2018: We’re not sure where the time has gone, but it’s that time of the year again where we’re all browsing for festive gift ideas for husbands, brothers, fathers and close friends. While many individuals perceive that finding gifts for him is an impossible task, we think it’s a myth and have put together a list of aspirational gift items and stocking fillers for him that will make all the men in your life grin from ear-to-ear and ease up your festive shopping process – from unique grooming products to full on indoor fold away BBQs! The Organic Pharmacy Men’s Moisture Cream, AED 250 from Harvey Nichols. 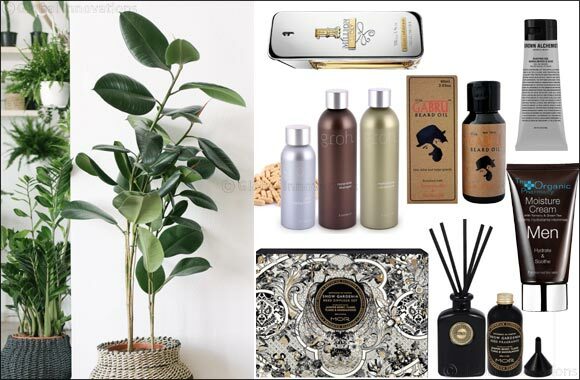 Mor Home Diffuser Kit (Snow Gardenia), AED 265 from Virgin Megastores. Grown Alchemist Shaving Gel, AED 180 from Bloomingdales.